State Agency of Ukraine on Exclusion Zone Management (SAEZ) - Tasked with coordinating the decommissioning of the Chernobyl Nuclear Power Plant and conducting environmental and radiation monitoring of the officially designated exclusion area around the site of the Chernobyl nuclear reactor disaster. Alliance for Nuclear Responsibility - Works to educate and protect the citizens of the State of California and future generations from the dangers of radioactive contamination. Supports educating the public on options for energy generation, the dangers of aging nuclear plants and the increasing production and storage of high-level radioactive waste on California's coastal zone. EPA's Radnet Monitoring Data - EPA's nationwide radiation monitoring system, RadNet, continuously monitors the nation's air and regularly monitors drinking water, milk and precipitation for environmental radiation. The RadNet system consists of both fixed and deployable monitors. To see data from an individual monitor click on the monitor in that state. Japanese Fukushima Nuclear Emergency: Radiation Monitoring in U.S. Evacuation Zones for Nuclear Reactors - Do you live within 50 miles of a nuclear reactor? One third of Americans do. Property contaminated by nuclear materials is not covered by insurance, so if your house is affected, you could be displaced permanently and lose everything. Use the tool on this page, provided by Physicians for Social Responsibility, to find out if you are within an evacuation zone and are at risk. Also notice the number of people who would have to be evacuated if there was an accident at the plant closest to you. Do you really think that is possible? Fairewinds Energy Education - Maggie Gundersen founded Fairewinds in 2008. Its mission is to educate the public about nuclear power production, engineering, reliability, and safety issues. Hazardous Substances Data Bank (HSDB) - Q&A from three federal agencies, the EPA, FDA and CDC, concerning Iodine-131 (131I), also called radioiodine. Helen Caldicott, M.D. - One of the most articulate and passionate advocates of citizen action to remedy nuclear and environmental crises. International Nuclear Event Scale User's Manual - Designed to facilitate the task of those who are required to rate the safety significance of events using the scale. It includes additional guidance and clarifications, and provides examples and comments on the continued use of INES. Power Reactor Information System (PRIS) - Provides information on PRIS and global nuclear power reactor statistics to the general public. Developed and maintained by the IAEA for over four decades, is a comprehensive database focusing on nuclear power plants worldwide. PRIS contains information on power reactors in operation, under construction, or those being decommissioned. All information and data items are collected by the IAEA via data providers nominated by Member States. Ten Years after Chernobyl: What Do We Really Know? - This booklet highlights the results of an international conference in 1996 sponsored by the IAEA, World Health Organization, and European Community on the consequences of the 1986 accident. Committee on Nuclear Regulatory Activities (CNRA) - An international committee made up of senior representatives from regulatory bodies. It was created in 1989 to guide the NEA program concerning the regulation, licensing and inspection of nuclear installations with regard to safety. 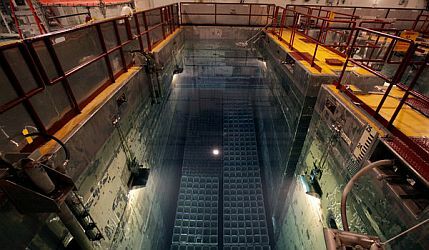 Committee on the Safety of Nuclear Installations (CSNI) - Assists member countries in maintaining and further developing the scientific and technical knowledge base required to assess the safety of nuclear reactors and fuel cycle facilities. The Committee is made up of senior scientists and engineers, with broad responsibilities for safety technology and research programmes, and representatives from regulatory authorities. Committee on Radiation Protection and Public Health (CRPPH) - The committee is made up of regulators and radiation protection experts, with the broad mission to provide timely identification of new and emerging issues, to analyse their possible implications and to recommend or take action to address these issues to further enhance radiation protection regulation and implementation. The regulatory and operational consensus developed by the CRPPH on these emerging issues supports policy and regulation development in Member countries, and disseminates good practice. Radioactive Waste Management Committee (RWMC) - An international committee made up of senior representatives from regulatory authorities, radioactive waste management agencies, policy making bodies and research and development institutions. Its purpose is to foster international co-operation in the management of radioactive waste and radioactive materials amongst the NEA member countries. Nuclear Science Committee - Helps member countries identify, collate, develop and disseminate basic scientific and technical knowledge required to ensure safe, reliable and economic operation of current nuclear systems and to develop next-generation technologies. Nuclear Law Committee (NLC) - The NLC is a highly focused group of specialists, comprising lawyers, policy makers, academics and from time to time, technical experts. Its terms of reference center upon the interpretation, implementation, improvement and modernisation of the international nuclear liability regime, primarily through a consideration of the Paris Convention, the Brussels Convention Supplementary to the Paris Convention and the Joint Protocol relating to the Application of the Vienna Convention and the Paris Convention. It also provides a forum for discussions concerning the development and harmonisation of legislation on other aspects of nuclear activity. Nuclear Energy Institute (NEI) - Nuclear energy industry lobbying group in the U.S. Site promotes self-interested "safety" information and other propaganda. Nuclear Free Planet - Focusing on the danger posed to public health by radiation, by the contribution of nuclear power to global warming, and by the real capacity of nuclear weapons, technology, and waste, to render parts or all of the earth uninhabitable forever. Nuclear Information and Records Management Association (NIRMA) - Professional association which supports regulated nuclear and selected energy-related industries that must deal with stringent information management regulations. Nuclear Information and Resource Service (NIRS) - National information and networking center for citizens and environmental activists concerned about nuclear power, radioactive waste, radiation and sustainable energy issues. Nuclear Power Information Tracker - An interactive map that allows users to search for safety issues at U.S. nuclear power plants and get in-depth information about each reactor, including past and present safety issues, Union of Concerned Scientists letters to the Nuclear Regulatory Commission (NRC), and testimony to Congress. State-of-the-Art Reactor Consequence Analyses (SOARCA) - A research effort to realistically estimate the outcomes of postulated severe accident scenarios that might cause a nuclear power plant to release radioactive material into the environment. The SOARCA project applies many years of national and international reactor safety research, and incorporates the improvements in plant design, operation, and accident management to achieve a more realistic evaluation of the consequences associated with such accidents. Radiation Effects Research Foundation (RERF) - Conduct researchs on the medical effects of radiation on man, with a view to contributing to the health and welfare of the atomic-bomb survivors and to the enhancement of the health of mankind. RERF was established on 1 April 1975 as a nonprofit foundation under Japanese civil law, within the jurisdiction of the Japanese Ministries of Foreign Affairs and Health and Welfare, and in accordance with an agreement between the governments of Japan and the United States. Safecast - A global sensor network for collecting and sharing radiation measurements to empower people with data about their environments. San Onofre Safety - This website is a public resource of factual information about the serious safety issues with the San Onofre Nuclear Generating Station, located a few miles south of San Clemente, California. United Nations Scientific Committee on the Effects of Atomic Radiation (UNSCEAR) - Since its inception, UNSCEAR has issued only 20 major publications, but these reports are highly regarded as principal sources of authoritative information. The latest publication is the UNSCEAR report: Sources and efects of ionizing radiation in two volumes. Volume I was realesed in 2008. Volume 2 was released in the first quarter of 2011. What if the Fukushima nuclear fallout crisis had happened here [i.e., the U.S.]? - There are 104 nuclear reactors in the United States. If one of them lost both primary and backup power for even a matter of hours, it could lead to a meltdown and an airborne radioactive plume. See what could have happened if any of these reactors in the U.S. had a severe nuclear accident on March 11, 2011. Informatin and interactive mapping provided by the National Resources Defense Council. WHO: Chemical and Radionuclear Incidents - Technological (non-natural) incidents include accidents at hazardous installations (e.g. accidental release or explosions at chemical or nuclear power plants), and accidents while hazardous substances are in transport (e.g. oil tankers or chemicals transported by trains, tankers or lorries). DOE Directives Program - Directives are the primary means to establish, communicate, and institutionalize policies, requirements, responsibilities, and procedures for departmental elements and contractors. National Nuclear Security Administration (NNSA) - One of the primary missions of NNSA is to maintain and enhance the safety, security and reliability of the U.S. nuclear weapons stockpile. NNSA, through its Office of Defense Programs, ensures that the U.S. nuclear arsenal meets the country's national security requirements and continues to serve its essential deterrence role. Occurrence Reporting and Processing System (ORPS) - The Department of Energy's Occurrence Reporting Program provides timely notification to the DOE complex of events that could adversely affect: public or DOE worker health and safety, the environment, national security, DOE's safeguards and security interests, functioning of DOE facilities, or the Department's reputation. Office of Nuclear and Facility Safety Programs - Establishes and maintains the DOE requirements for nuclear criticality safety. The DOE detailed requirements for criticality safety are contained in Section 4.3 of the DOE Order 420.1, Facility Safety. Criticality safety requirements are based on the documented safety analysis required by 10 CFR 830, Subpart B. Additionally, guidance for satisfying the DOE requirements is found in the Implementation Guide for the 830 rule and in DOE Standard 3009-94, chapter six. DOE-G-421-1 also provides detailed program guidance to criticality practitioners and reviewers. Activities of the DOE Nuclear Criticality Safety Program (NCSP) at the Oak Ridge Electron Linear Accelerator (ORELA) - The NCSP consists of seven elements of which nuclear data measurements and evaluations is a key component. The intent of the nuclear data activities is to provide high resolution nuclear data measurements that are evaluated, validated, and formatted for use by the nuclear criticality safety community to provide improved and reliable calculations for nuclear criticality safety evaluations. High resolution capture, fission, and transmission measurements are performed at the Oak Ridge Electron Linear Accelerator (ORELA) to address the needs of the criticality safety community and to address known deficiencies in nuclear data evaluations. T2 Nuclear Information Service - Concentrates on nuclear modeling, nuclear data, cross sections, nuclear masses, ENDF, NJOY data processing, nuclear astrophysics, radioactivity, radiation shielding, data for medical radiotherapy, data for high-energy accelerator applications, data and codes for fission and fusion systems, and more. U.S. Department of Energy Nuclear Criticality Safety Program - Various laws, standards and guides have been written which direct the performance of criticality safety across the DOE complex. Makes a variety of information available to the criticality safety practitioner, including reference materials, training modules and links to related sites. In order to provide consistent understanding of the policies and rules governing the function of criticality safety, the criticality safety practitioners aree expected to demonstrate familiarity with rules, standards and guides found here. NUREG Technical Reports - Reports or brochures on regulatory decisions, results of research, results of incident investigations, and other technical and administrative information. This webpage last updated on Saturday, December 23, 2017 4:23 PM.